Lilly and her Chihuahua "brother" live with a family in SE Wisconsin. Lilly is an over medium sized black and red female. 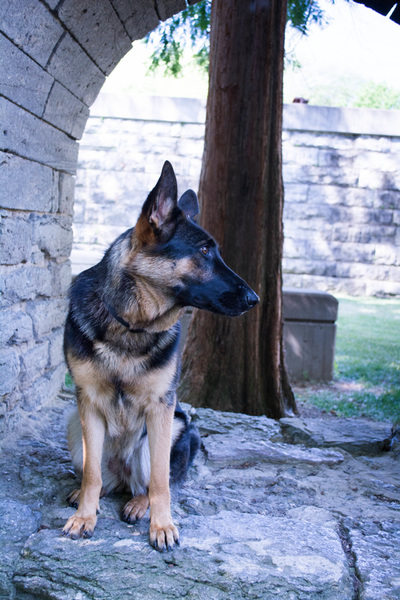 She has dark eyes with a dark mask and strong ears. 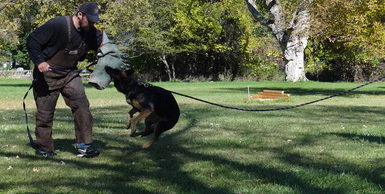 Lilly has good front and rear angulation with high withers and a firm back. She is correct coming and going and shows good power from the rear. Similar to her brother Ludwig, Lilly is a social, affectionate, and loving dog that enjoys being around children. 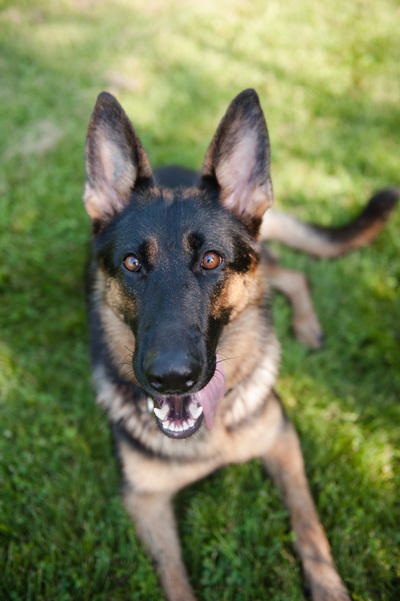 In addition to her excellent temperament, she also does well at obedience, agility, tracking, and protection work. In May 2015, Lilly earned her BH and AD (endurance test) titles. 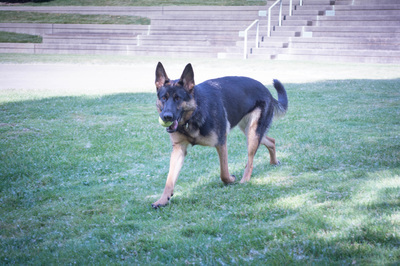 In November 2015, Lilly earned the TR1 (tracking level 1 in Schutzhund) title. 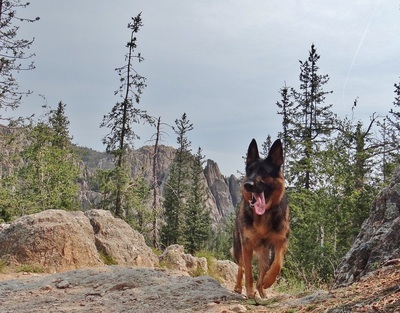 Lilly is the perfect family companion and adventure partner for her family.